A pensioner who killed a cyclist in a crash has been banned from driving and ordered to carry out unpaid work. Christopher Holt, 58, died four days after he was hit by Joan Martino’s car in Hornchurch, east London, in May 2016. 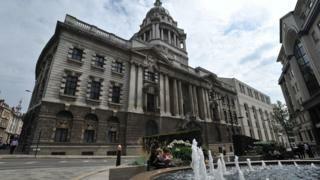 Martino, 71, of Lowestoft, Suffolk, was found guilty of causing death by careless driving at the Old Bailey. Her Toyota was seen to “drift” towards the curb, before hitting Mr Holt, from Hornchurch, the court heard. Mr Holt, who had been only 150 metres (164 yards) from work, was knocked off his bike, sending him flying into the air, before he hit the bonnet and rolled into the road, the court was told. Martino stopped at the scene on 11 May and appeared to be “shaky and in shock”. Prosecutor Ben Temple said Mr Holt suffered a fracture to his spine and “as a result of that injury he suffered a pulmonary embolism and died”. Martino had denied causing the death of Mr Holt, saying she did not see him until he hit the bonnet. She told jurors she had been at the house of her recently deceased aunt, Rose, before the crash. She went to bed early and set off home to Lowestoft at about 04:00 BST to avoid the traffic, driving a vehicle she had got just a week earlier. She was convicted of causing death by careless driving by a jury. Judge Sarah Munro QC sentenced Martino to an 18-month community order and 120 hours of unpaid work. She was also disqualified from driving for 12 months.